In 1947, Eldon rejoined the firm. In 1955 Bernard Dahl, Howard Retz, and William Brown formed the Billings Funeral Service in Billings. In 1966, Bernard became the sole owner changing the name to Dahl Funeral Chapel. In 1977 Bernard established Dahl Funeral Chapel in Red Lodge, MT and merged Bozeman, Billings and Red Lodge operation into one. In 1978, the new chapel was built in Bozeman to include the only crematory for at least one hundred miles. In 1990, Bernard's son John Emil Dahl joined the firm and daughter Irene joined the firm in 1991. 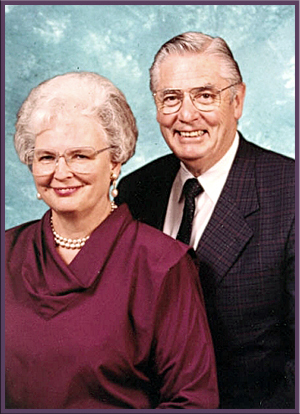 In 1998, Dahl Funeral Chapels, LLC was formed, turning the reins to John and Irene, the present generation. We look forward to the challenges that come with a changing market. We will continue to look for new ways to serve the families who have chosen us, and to find new methods for leaving a positive lasting memory of those whom they have lost. Growth in our business does not depend on big advertising campaigns. Our growth will continue to come from the dedication for our people of our business, our community and to the people who have chosen to place their trust in us.